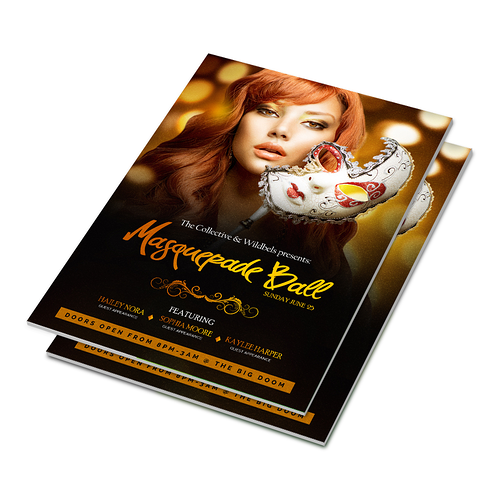 Poster printing lets you make thousands of impressions -- with a single print. Whether you need posters for art and photo reproductions, or to advertise your business, 48HourPrint.com has the options you need. Our posters come in standard, large format, mounted, and sign variants, so whatever you need a poster for, we have the specs and materials to make it happen. 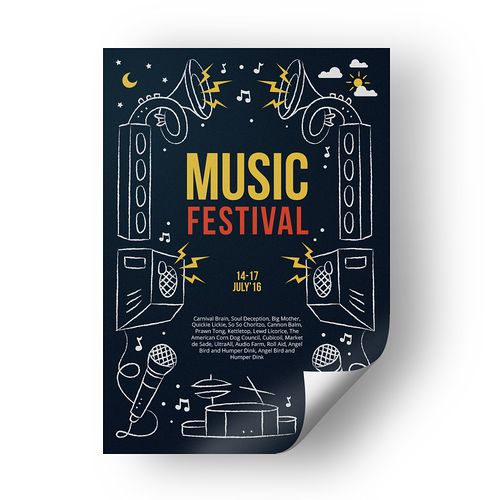 Design your posters with our templates on your favorite design tool and try poster printing today. Standard posters need no introduction. They’ve been a staple of advertising for a few hundred years. We’ve added a host of options that make it easy to match any design you can think of. Print sizes from standard 8.5” x 11” (letter size) all the way to 27” x 39” (standard movie poster size) You can also print on both sides -- useful on storefront windows if you want to advertise inside and outside at the same time. You also have a choice of gloss, matte, and high gloss UV stocks to choose from. Large format posters, as the name says, are huge -- perfect for artwork that needs to be the center of everyone’s attention. They come in a selection of large sizes as big as 36” x 72”, about the area of a single-size mattress. Large format posters are printed on photo paper, in your choice of semi-gloss or high-gloss finishes. They’re a great format for photo enlargements and art reproductions. Mounted posters are the perfect format for posters that need to be handled frequently. They’re made from your choice of two different water-resistant plastic materials, including extra-light styrene, and super-rigid PVC board. Best of all, no framing is necessary with mounted posters, since these products are already self-supporting. They come in sizes ranging from 16” x 20” to 24” x 36”, letting you use this durable format for a variety of applications. Use them for durable office decor, restaurant menus, and even for presentations. 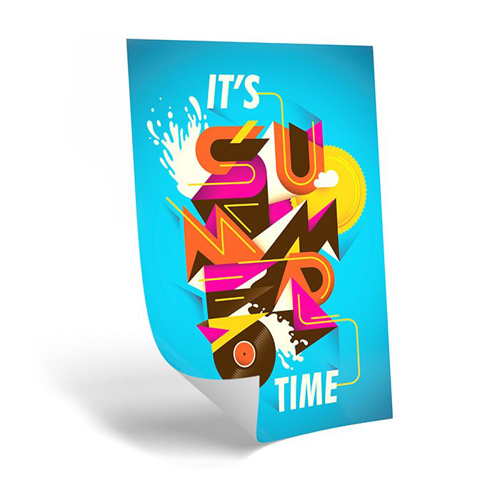 Poster signs should be your go-to marketing material whenever you need outdoor advertising. They’re made from your choice of durable white PVC or lightweight styrene board. All poster signs are waterproof, making them a good choice for wet and humid conditions. They come in sizes 16” x 20” to 24” x 36”, giving you the flexibility to create impressions from different distances. Use them for real estate signs, storefront signs, and any other outdoor advertising. Our 50 print and design awards makes us one of the most celebrated online printers. Whether you need 100 business cards, 25,000 pocket folders, or anything in-between, 48HourPrint has your printing needs covered. Most importantly, we'll do those intricate custom printing jobs that other printers can't, or won't handle.